Rings are sold in quantities of 1 ounce troy (ozt) unless specified otherwise. Please note the price break when ordering in quantities of 5 ozt. or more. This may be made up in mixed size quantities. 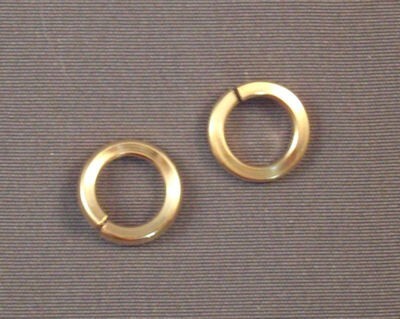 For other gauges or diameters, please email or call.